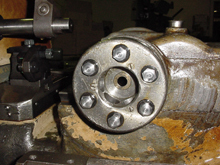 AMSCO is a well known name to the screw machine industry. Wendell H. Rogers (Windy), President of Automatic Screw Machine Tool & Supply Co., has been an asset to the screw machine industry for over 60 years. AMSCO stocks parts and tooling for the Brown & Sharpe, Davenport, National Acme, Greenlee, Lipe Bar Feeds, Conomatic, New Britian, CVA and Index. AMSCO is proud to say that we are authorized distributors for AccuTrak Tool, Automatic Tooling Corp, B&S Screw Machine Services, D.T. Tools, Davenport Machine, Lester Detterbeck Enterprise - Boyar Schultz SMT, Hardinge Bros., Quality Chaser, Schlitter Tool, Somma Tool Co Inc, Whitcore Tube. We represent top of the line products with competitive prices, we have what you need when you need it.